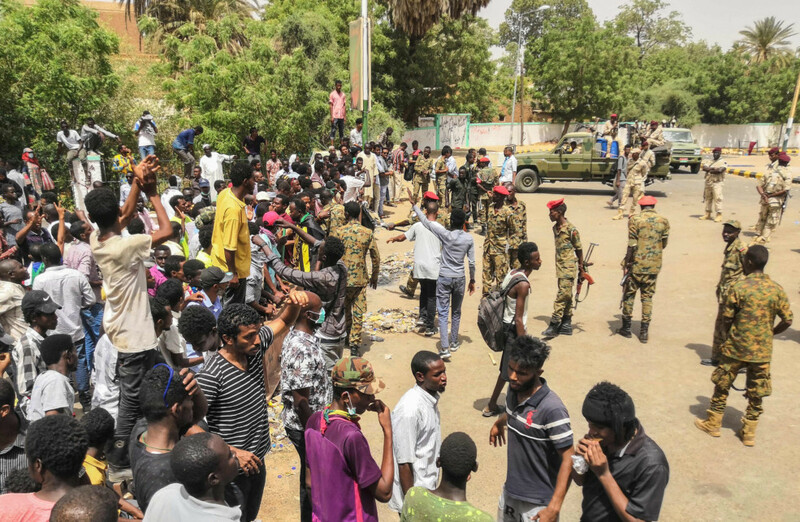 Khartoum: Thousands of Sudanese protesters pressed on with their campaign against President Omar Al Bashir’s rule for a fifth day outside the army headquarters in the capital on Wednesday, witnesses said. “We call on God to preserve the security and calm of our country ... and to unite the Sudanese people... for an agreement which would support the peaceful transition of power,” a police spokesman said in a statement. Protest organisers launched their latest campaign on April 6 as part of a months-long movement against Al Bashir’s 30-year rule. Hundreds take to the streets in central Atbara and other cities on December 19 to protest the government’s tripling of bread prices after a three-week shortage and amid steep inflation. Food price hikes had already provoked sporadic demonstrations in January 2018 but were swiftly curbed. The new protests erupt the same day as the main opposition leader - ex-prime minister Sadiq Al Mahdi who was driven out in Al Bashir’s 1989 coup - returns from exile. Some protesters chant “No to hunger”; in Atbra they set fire to the headquarters of Al Bashir’s National Congress Party (NCP). Clashes break out as police try to disperse the crowds and eight demonstrators are killed. Other NCP offices are torched. Troops are deployed in Khartoum and other cities. On the sixth day of demonstrations, Al Al Bashir breaks his silence on December 24 and vows “real reforms”. With no let-up in the near-daily demonstrations, 22 political groups issue a joint call on January 1 for a “new regime”. Al Al Bashir sacks the health minister on January 5 over rising costs of medicine. Four days later, thousands chant support for Al Al Bashir at a rally in Khartoum but in the capital’s twin city of Omdurman there are more deaths in anti-government protests. On January 13, protests spread to the war-torn region of Darfur. Al Al Bashir declares a nationwide year-long state of emergency on February 22, also dissolving the federal and provincial governments and appointing army and intelligence officers as provincial governors. On March 1, Al Al Bashir hands his powers as chief of the ruling NCP to his deputy. The protests become less regular after the state of emergency and Al Al Bashir on April 4 acknowledges that demonstrators had “legitimate” economic concerns, calling for dialogue. They set up camp at the complex, which also houses the president’s residence, defying attempts by security forces on April 9 to dislodge their sit-in with teargas and gunshots into the air.